The UK is experiencing its most severe housing crisis in modern history. A combination of factors including an increasing population, a housing supply that has not met demand for many years, and speculation in the housing market all mean more homelessness, more families in temporary accommodation, and more young people struggling to get on the housing ladder. With higher life expectancy, the population of older people is growing, and with a lack of attractive alternate options available, more people are staying put in their family homes for longer. It is widely accepted that loneliness and isolation can lead to increased GP and hospital visits, further increasing the strain on public resources. A growing elderly population means increased welfare spending on pensions, a higher cost of NHS and social care, and a decline in the working population. New ideas that will tackle loneliness and isolation among older people, and hopefully keep them active for as long as possible, are paramount. One approach that has the potential to address the needs of older people – and other need groups at the same time – is intergenerational housing. Intergenerational housing models are established and even flourishing in parts of Europe and the United States, yet are in their infancy in the UK. These models have the potential to help address some of our society’s greatest challenges. In 2016 the UK population was 65.6 million, and projected to continue growing to over 74 million by 2039. The number of people aged 60 and over is expected to pass the 20 million mark by 2030. 3.6 million people aged 65+ or 32% of them live alone of which the majority are women. Growing numbers of elderly people will have an impact on the NHS and social care expenditure. According to an estimate made by the Department of Health in 2010, long-term health conditions, which increase with age, account for 70% of total health and social care spending. Despite the recent increases in the state pension age, it is expected that the pensioner population will continue to rise. In 2014 there were 3.2 people of working age for every person of pensionable age. This ‘dependency ratio’ is expected to fall to 2.7 by 2037. With a third of older people now living alone, evidence also suggests that loneliness is a large and growing problem among older people, especially for those over 80. Loneliness and social isolation have a direct impact on mental health and well-being, increasing risk of premature death by a quarter and the risk of developing Alzheimer’s, while deficiencies in social relationships are associated with an increased risk of developing heart disease and stroke. In order to understand Intergenerational Housing, it helps to understanding the concept and practice of cohousing (or collaborative housing). One definition of cohousing is: “an intentional community as a living environment… where significant relationships with neighbours are the norm rather than the exception, where generations mix and everyone has a role, where people experiment with commitment to something beyond their individual interests.” Cohousing has become more popular in the UK since the late 1990s, though already growing in Europe since the 1970s. Intergenerational housing has similar characteristics to cohousing. The key difference is that cohousing is usually owned and managed by residents, whereas models of intergenerational housing are usually initiated, owned and managed by not for profit organisations, social housing providers and public authorities. A significant focus of intergenerational housing is to find new solutions to issues of isolation, loneliness and other concerns for an aging population, whilst putting people of other ages and stages of life into the mix. These can be students, younger adults, families, or even specific need groups such as those fostering or adopting at risk children. The Plaza de América Building in Alicante, Spain provides an excellent example of Intergenerational living. In 2003, the Municipal Project for Intergenerational Housing and Community Services worked to address the specific housing needs of low-income older persons and young people by providing 244 affordable, intergenerational housing units in central urban areas. Residents include low-income older persons over the age of 65 (78 per cent of residents) and low-income young people under the age of 35 (22 per cent of residents). Young people are involved on a voluntary basis in the communal organisation of everyday life in the buildings and neighbourhood, and in cultural and recreational activities, which take place in communal spaces. On the basis of a ‘good neighbour agreement’, each young person is in charge of taking care of four older people in the building, offering a few hours of their time each week to spend with the older residents. The project not only provides decent, accessible housing but also works to create a supportive, family-like environment and sense of belonging among residents, enabling older residents to maintain their independence and stay in their own homes as they age. The Generations of Hope Communities(GHC) model operates in America. In their “intentional neighbouring” model of community living, everyone, including the most vulnerable, gives and receives care and support. An example of this model is Bridge Meadows (GHC) – a multigenerational, affordable housing community in Portland, that adopts and fosters children and young people. The community features nine homes for families (29 children total) that have agreed to adopt children and youth from the foster care system, and 27 adults over 55 who qualify for housing subsidies and agree to contribute 100 hours of service to the Bridge Meadows community. The community’s mission is to provide supportive programming for foster youth and meaningful engagement for older adults. Older adults connect with youth, families, and other residents in a variety of ways. Some help other residents by providing rides to doctor appointments, teaching activity classes, or stocking the building’s library. Most are involved with the youth by tutoring after school, offering art lessons, or babysitting while parents work, run errands, or take a break. As the functionality of older adults’ changes, the activities in which they participate may also change. Parents and older residents are asked to complete a monthly log of their interactions with other residents. The impacts of Bridge Meadows include housing stability, permanency for youth and families through adoption or legal guardianship, children achieving greater academic success and elders increasing social connection. A new project from Haringey Council aims to create an Intergenerational Supported Housing Pilot for young parents, their children and older adults, which will be based in a sheltered housing hub and cluster scheme managed by Homes for Haringey. The pilot seeks to improve health and wellbeing for both young parents and older adults through the provision of housing-related support and the development of intergenerational activities and mentoring relationships. Faced with lower demand for sheltered housing among older people, Haringey identified a prime opportunity to utilise sheltered housing voids, which are currently unlettable, whilst innovatively developing a much needed supported housing scheme for young parents (aged 18-25). Research has shown a definitive need for such support among young parents, some of whom are homeless, some of whom are vulnerable or have left care, and many of whom face loneliness and isolation. Social enterprise United for All Ages (UfAA) and Millennium Care recently announced plans for a £12 million intergenerational development in Wigan with continuity of care for older people, a care home, dementia unit, a nursery, community hub and assisted living flats. Reflecting the recent growing interest in bringing childcare and car for the elderly together, UfAA has set a target of up to 500 intergenerational sites by 2023. Projects such as this, and the other examples cited above in Europe, the US, and UK have much to offer. However, Haringey’s Intergenerational Supported Housing Pilot suggests that there is significant potential in re-modelling and repurposing existing housing stock also, filling empty properties while simultaneously achieving much needed social support for both young and old segments of the population. This Haringey model is certainly one to watch. 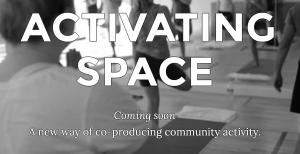 Our vision for a market place for community activity delivered peer to peer and utilising underused community space using our new app and platform, Activating Space, took one step closer this month. Micah Gold of Mobilise and Russ Bubley, I for Change social investment advisors, together launched Activating Space CiC to deliver on the new approach. With conversations ongoing with a number of local authorities and voluntary organisations we are hoping to see the technology piloted in the coming year. Here at Mobilise, we will keep you posted of progress! The Old Barn in East Finchley, North London, is a purpose-built community centre, which was set up in 1981 to provide clubs and activities for local people. The organisation that operates the centre is known as the Old Barn Youth and Community Association (OBYCA). For nearly 30 years it ran a great number of youth clubs and pre-school activities. 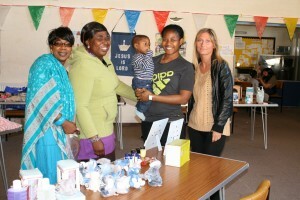 It was well used and highly valued by the local community. In the last few years, a group that used the centre took over the running of the OBYCA. Some believe that this group has made it difficult for local people to become members of the OBYCA or to make use of the centre. 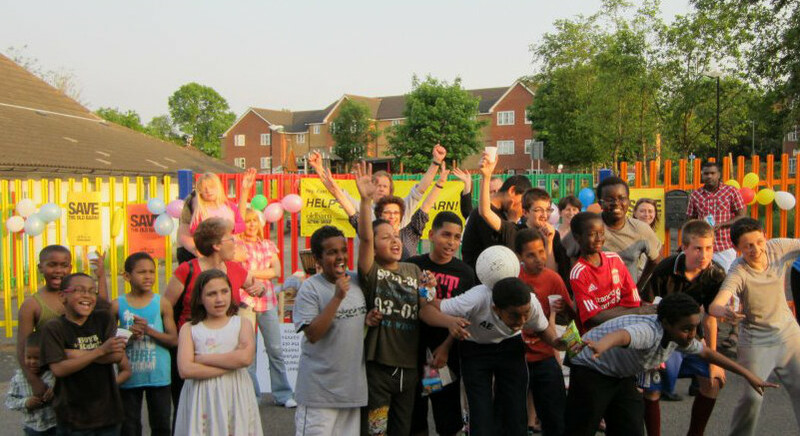 The youth club and other activities have been withdrawn, and many people feel that the centre is no longer providing benefit to the wider community. Local residents formed the Old Barn Action Group to try and get the community centre back for use by local people. Their cause was taken up by local politicians, the Borough of Barnet and the Charity Commission. As the regulator, the Charity Commission has a duty to ensure that charities are run correctly, and they have recently investigated the OBYCA. They found a number of areas where they believe the management committee have not complied with the law, particularly in relation to the operation of an open membership and transparent Annual General Meetings. Our first action as trustee will be to assess the future viability of the OBYCA and the condition of the building. We will then work with local residents to ensure the Old Barn can be brought back into use for the benefit of the community as soon as possible. In the first instance, Mobilise wish to contact anyone who has been a member of Old Barn Youth and Community Association. Anyone believing that they have current or recently lapsed membership is asked to contact us by email, or by calling 020 8090 4613, by 28th November 2014. We met with Pivotal Labs earlier this week to discuss our community spaces project. Here, Rosemary King explains the insights that emerged from our discussion, cross-posted from the Pivotal Labs blog. How do you get started? This was a question that was being asked on both sides of the table at Pivotal Labs London’s inaugural office hours. Our Associate Director Robbie Clutton, Associate Director of Design Martina Schell, and I sat down with an organization called Mobilise Public Ltd to help them hash out their product hypothesis and potential strategy for an MVP launch. Mobilise asked us how these sessions usually went, we replied that the session really shapes itself and asked them to start describing the problem they are trying to solve. Mobilise is a public sector company that is in the process of transitioning from service delivery to product delivery. Mobilise has extensive experience working with public and community sector in underserved areas and a deep understanding of their various users’ needs and desires. This wealth of experience means that Mobilise has many ideas of what products could be useful. This shift in business model was instigated when Mobilise spotted an opportunity to capitalize on underutilized public spaces that could help raise engagement in local communities. So their question for us was how they should best get started. Their hunch on how to best evolve their business is building a platform that breaks down the barriers to using community spaces, while simultaneously giving small entrepreneurs an opportunity to engage directly with their own communities. Our aim during the session was to understand what Mobilise’s product hypothesis is for this product. Once you have a clear hypothesis the path to validate that hypothesis emerges. All product hypotheses should ruthlessly eliminate as much complexity as possible and drive to the core idea. Mobilise’s hypothesis boils down to a simple concept: If the community spaces in question were easy to access and easy to use, then people in the surrounding community would be eager to use them. After discussing the hypothesis it was clear that Mobilise would be well served by leveraging their existing relationships with community organizations and groups in order to help define the MVP. We identified several opportunities for research and discovery that should help them understand how their core user groups were completing these activities now. These included shadowing and interviews with organizations that have successfully built active communities with minimal help from digital products. It is also crucial that Mobilise get an understanding of what other tools to do similar work, and where gaps exist and what folks would like to see automated vs. what they would want to continue to do themselves. Lots of companies view this type of intensive discovery work as overkill but with complex problems, unclear user needs, and premium development costs, making sure you validate your hypothesis with specific answers carries its weight in gold. Sometimes the first step is discovering the first step. Community halls should be an asset for neighbourhoods – yet often the reality is very different. We’re exploring how app technology can help people get more from their local spaces. Earlier this year, a housing association contacted us about their 21 community halls. Instead of being lively hubs of local activity, many were under-used – a drain on finances, with little to show for it. At the same time, we were working with a neighbourhood where residents found it difficult to access their own community facilities; the Tenants’ and Residents’ Association were hard to contact, and had set prices for hall hire that shut out many local people. It’s a complaint that’s echoed across the country. Existing ways of managing community spaces have often left them severely under-used – a huge waste of resources. Supporting residents to look after their own facilities can be costly, and while the aim is community empowerment, this approach risks empowering one group in the community to the exclusion of others. 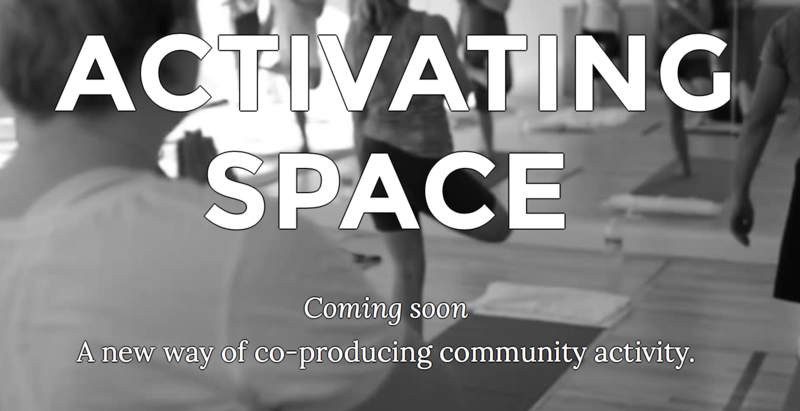 We’re developing a new way for people to use these spaces; one that’s more accessible, and a better fit with the way we manage other parts of our lives. Inspired by websites like Airbnb or Liftshare, we want to use peer-to-peer technology to connect people with each other and their local spaces. Anyone will be able to use the app to find a community venue, set a price and start putting on an activity, or search and book activities near them that match their interests. Residents know what activities will work in their community and at what price. We’ve learnt that requiring a voluntary commitment doesn’t work for everyone, but that local entrepreneurs will come forward if they can earn some extra money by meeting a need in their community. One such need is for exercise and wellbeing classes; demand for these, and for better information about what’s on, comes up frequently in public health consultations. Opening up community spaces will lead to more affordable opportunities to get active close to where people live. As well as physical exercise, the health benefits of more social participation are well-known. Using apps to help provide local services isn’t a new idea. However, this isn’t a project that relies on technology alone; a social enterprise will help with vetting providers, maintaining the facilities, and making sure that those without smartphones can still take part. Nor is technology the focus; what we’re hoping to do is change how people and spaces interact, and crucially, make this change from the bottom up. Local authorities talk about co-production and co-design of services, but acknowledge that even in areas with a strong sense of community, asking citizens to become co-producers of services is a challenge. With decreasing resources, the demands of the infrastructure needed to support this can seem unrealistic. This idea allows genuine co-production to happen at low cost. By creating an accessible tool for using spaces, it will encourage residents to respond to local demand and create a programme of activities that suits their community without commissioning or top-down management. This approach also suggests an alternative to the problems of working in a joined-up way at the local level. Often, different targets and funding sources cause inherent difficulties for initiatives that cross departmental silos, as ventures like neighbourhood management, total place and community budgets often demonstrate. In contrast, while this project has benefits for public health, adult social care, housing, community regeneration and the local economy, we won’t need to know in exactly what proportions. Disputes over who manages and pays for it will be limited by its light-touch, community-led and increasingly self-funded operation. Departments will also be able to promote their individual agendas by subsidising activities they wish to promote or ensuring personal budget holders can tap into the new activities. In May, Penny Osborne called for an open marketplace in social care; similarly, a marketplace in the use of community spaces lets residents expand provision of activities to suit their specific needs. We’re talking to three local authorities about the potential to pilot the idea. Like us, they want to unlock not only the potential of their community assets, but the potential of citizens to create services from the bottom up. Would you like to get young people further involved in your Big Local area? Mobilise have developed a Youth Bank Project, find out more. The BBC’s Inside Out London this week did a follow up to their report last year that investigated whether two London boroughs were setting unlawful parking ticket targets with their contractors. This week they suggested that more London Councils are doing the same. Inside Out say that their conversations with serving and former enforcement officers suggest the pressure to give out tickets is so much that sometimes they make up the evidence, or ‘constructively create PCNs’. They showed on the programme how this is done and got a ‘disgusted’ enforcement officer to demonstrate. The handheld computer’s 5 minute constant observation mode is begun before a contravention has been observed so that instant tickets can be issued when a contravention is found. They pretend the car has been observed for 5 minutes, when it hasn’t. This is commonly known as ‘cooking’ and the enforcement officer interviewed claimed that thousands of tickets are given in this way which is illegal. The claim is that the pressure is so great to produce enough PCNs that these are the kind of tactics the enforcement officers need to resort to. Worse still, there is no way the driver can prove what has happened. The example in the programme from Lambeth showed a butcher unloading his van ticketed incorrectly but given no choice but to appeal and when rejected by Lambeth, to go to the independent adjudicator. The written evidence from Lambeth at the appeal reported that there was no evidence he was unloading when photographic evidence provided by Lambeth itself clearly showed he was. Of course, the PCN was thrown out. In these austere times, local authorities are having to be creative about how to increase income and reduce spending. Parking is clearly a bit of a cash cow. The programme reported that last year Bromley made a £5.7m profit form parking, Hackney £7.9m, and Lambeth £12m. However there is creative and there is ‘arguably unlawful’ when it comes to raising revenue. This time the government is on the side of the driver and both Eric Pickles and Brandon Lewis at DCLG have attacked local authorities for raising cash through parking fines, come out against ‘spy car’ cameras, and even suggested 30 minutes free parking in towns as a measure to boost our flagging high streets. Though this often feels like rhetoric with little action taken to change the way things are. As a Londoner, I’ve fallen foul of parking enforcement on many occasions. However hard I try to keep to all the different sets of rules, mistakes are made, or as Inside Out suggests, you’ll be ticketed unfairly. This is so regular, I began to budget for PCNs annually as part of my personal financial planning – and don’t forget this is on top of what we pay for Council Tax, parking permits and hourly parking in car parks and on street! Although I’m often successful on appeal, the time this takes and stress it causes is hardly worth it, and Councils know this. Once I tried to contact my local council about it. Even when getting a local Councillor on side, their rebuffs were astonishing. There is a another side to this parking fiasco I feel Councils don’t consider. In order to deal with the huge cuts in funding most Councils are also now looking at ways they can reduce demand for services, change behaviour to reduce the burden on services, and increase levels of community activity and volunteering to fill the gaps where services can no longer do what they used to. They need the community to work with them, co-create, co-produce and do more for themselves. Though, often when the Council reaches out, they find an angry public. I suspect few politicians or senior council officers think much about how overzealous or unfair parking enforcement could impact on the Council’s relationship with its public and whether the benefits of increased revenue might be far outweighed by the costs of citizens being unwilling to behave in ways that are helpful to the Council. As Councils continue to seek the public’s help and cooperation over many areas of service delivery, they are going to have to consider these issues more and more. I call it ‘The Relationship Test’. All Council practices need looking at from a different point of view. Will the way we work, this policy, or that practice help build trust with the public, engender a better relationship with citizens, encourage positive behaviours or volunteering? Or the opposite – will it damage the relationship we have with the public and cost us dearly later. Without this rubric, Councils run the risk of becoming increasingly sneakier about revenue raising and laissez faire about the impacts these kinds of activities have on their relationship with the public whilst scratching their heads about why citizens get angry at public meetings and often seem unwilling to get involved. This RSA Animate explores the power of network visualisation to help navigate our complex modern world. 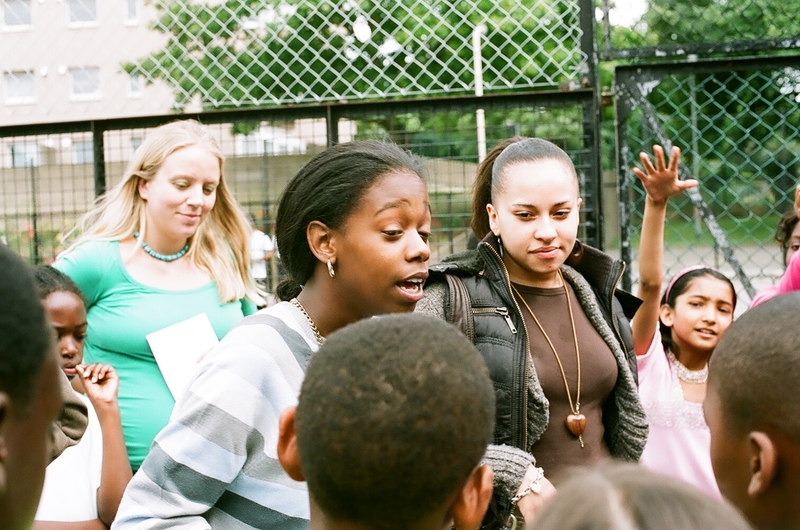 Citizens UK – What is Community Organising? You can’t say that a literate society has no criminality. But there are very real correlations.